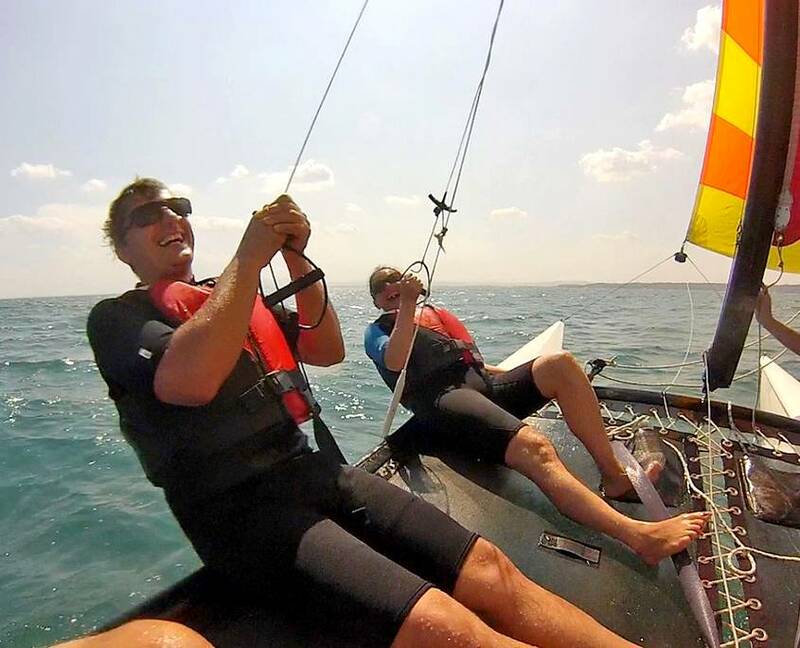 Between speed and balance games, enjoy the accessibility of this sport ! Our school is opened every day from 30th march to 10th november for everybody from 6 years old. This courses allow the youngest (from 6 y.o) to take their first steps in complete safety. 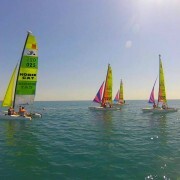 Maximum 3 trainee per boat. Effectuated on NewCat 12. For beginners of all ages. It allow you to build solid foundations. 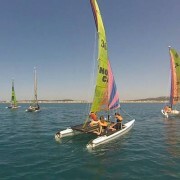 Maximun 3 trainee per boat. 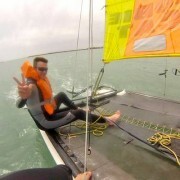 Effectuated on Hobie Cat 15. For a more precise navigation. For the initiate, it allow you to go into the technics of navigation in depth. 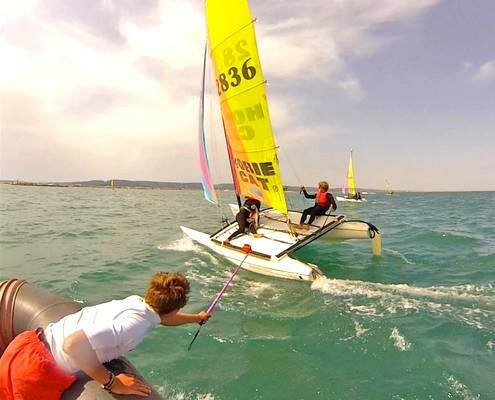 Maximum 2 trainee per boat. 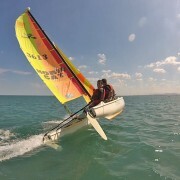 Effectuated on Hobie Cat 15, Max or Pacific. Detect the element of the environment who can change your navigation. Summer: swimsuit, t-shirt and sweatshirt, a windproof jacket, a sunscreen and a cap. Mid-season: your own wetsuit, warm pants, sport shoes, windproof jacket / winter jacket. From 1st may to 15th september, our stuff is available for rental. For a rent, we need a certificate who attest of your level. 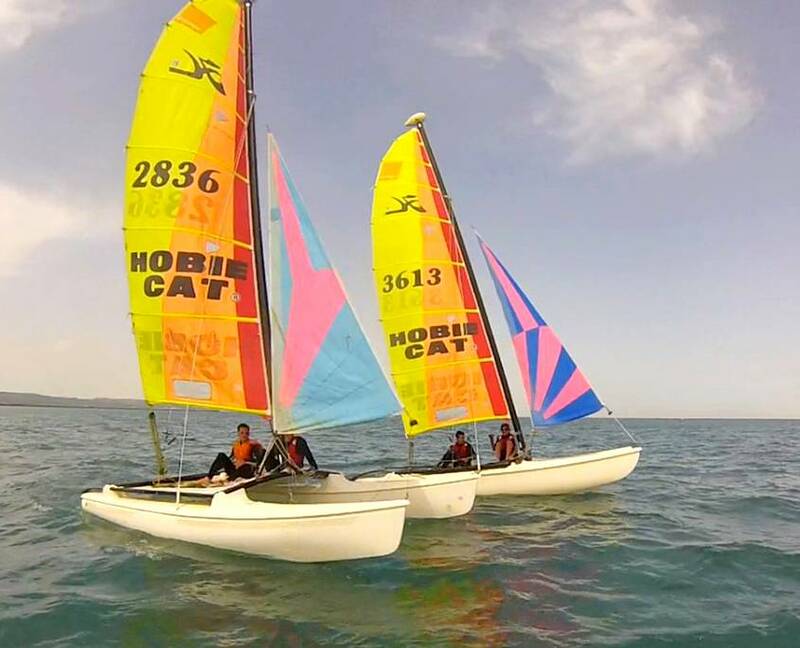 Our fleet is composed by 5 NewCat 12 (children), 8 Hobie Cat 15, 1 Hobie Cat Max and 1 Hobie Cat Pacific. Moreover, accessories (wetsuit, harness…) are also in rental. 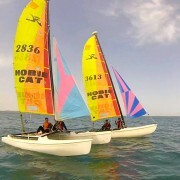 This is the school catamaran by reference. 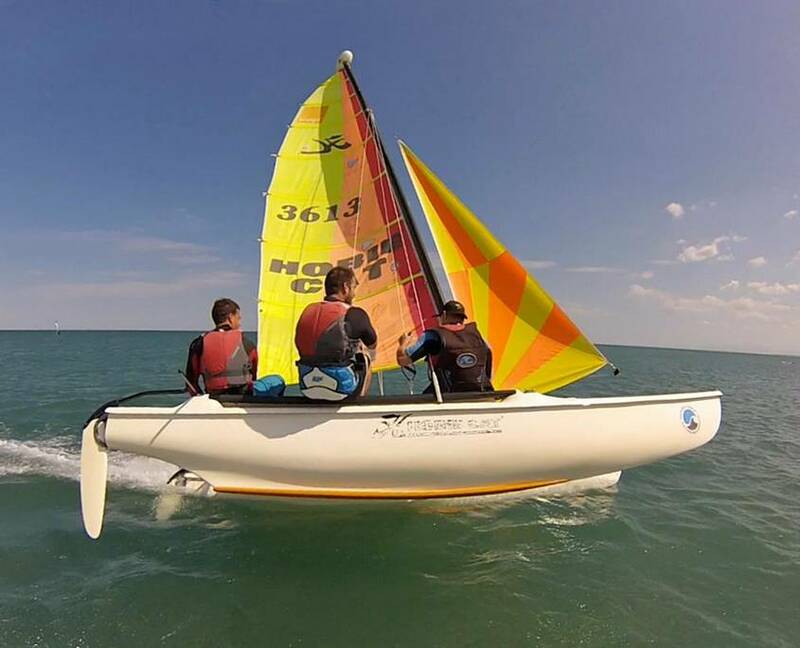 This 12 feet boat is perfect to learn. Easy to maneuver, stable and polyvalent, it allow you to go fast. It’s a fun boat ! 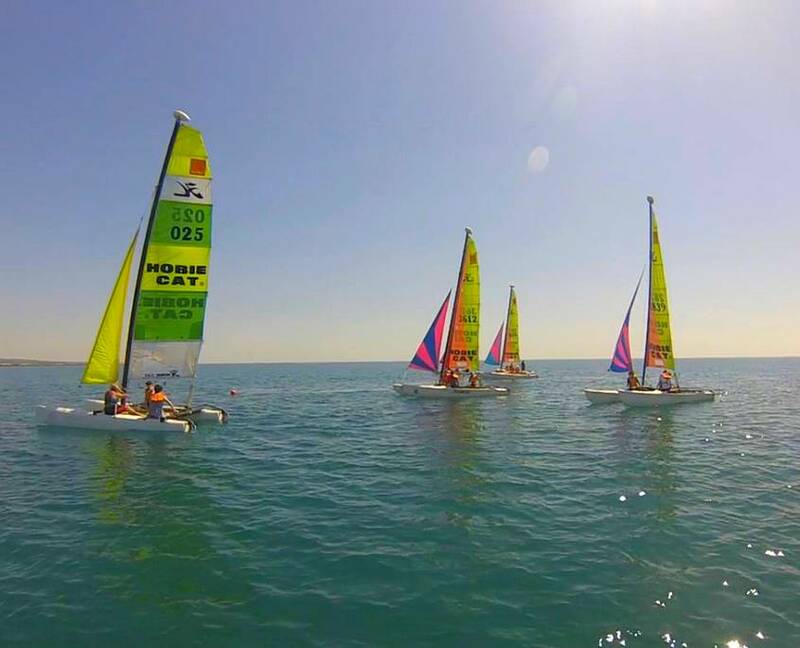 Playful and tolerant, the Hobie Cat 15 have an excellent buoyancy. 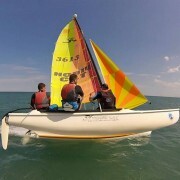 For a capacity of 4 personnes, it is a familial boat. 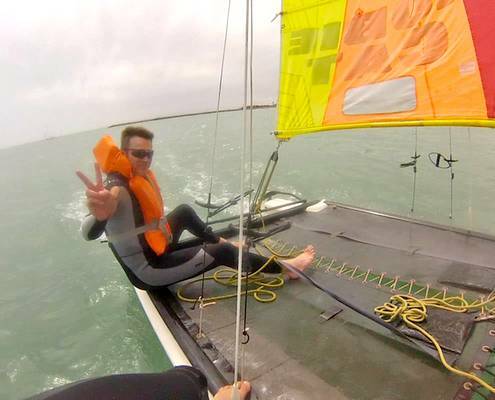 This catamaran is perfect for novice adults. 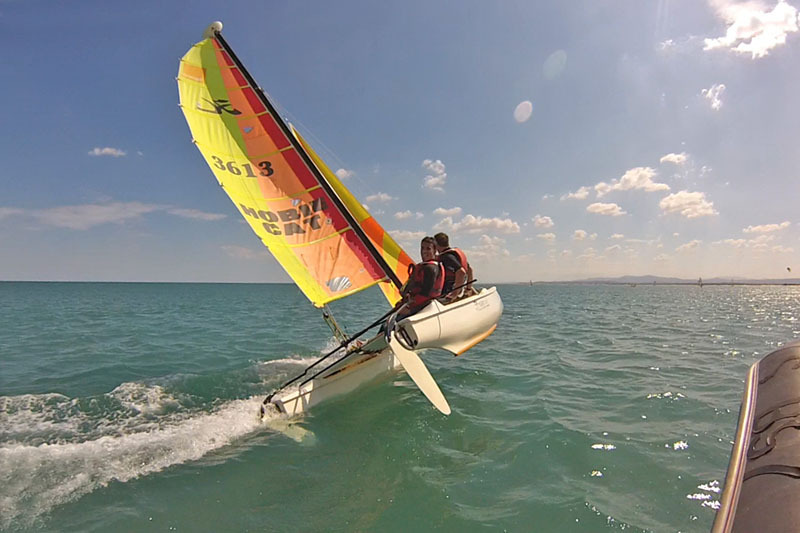 It’s a polyvalent boat which combines security and pleasure ! 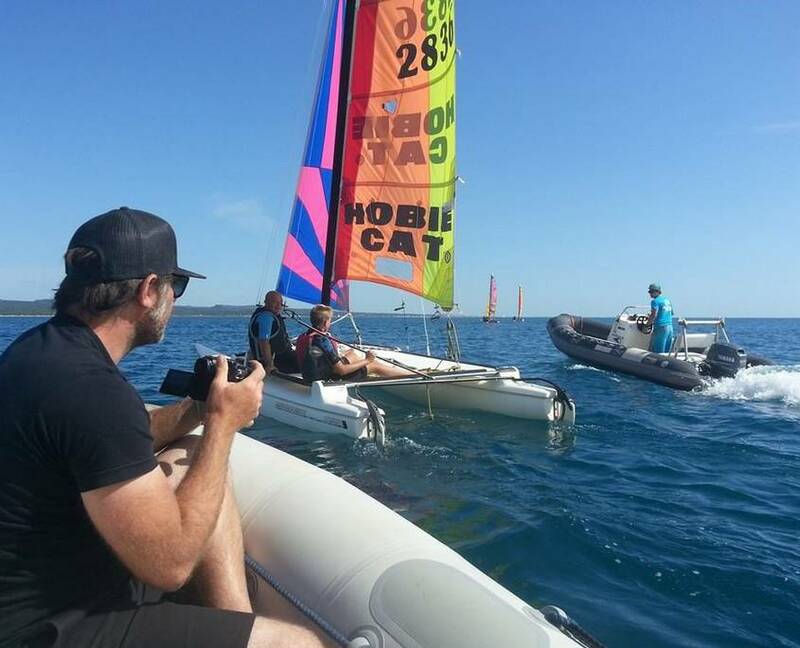 The adaptability of the Hobie Cat Max permit practicate a sportive navigation for low, mixed and young crew. 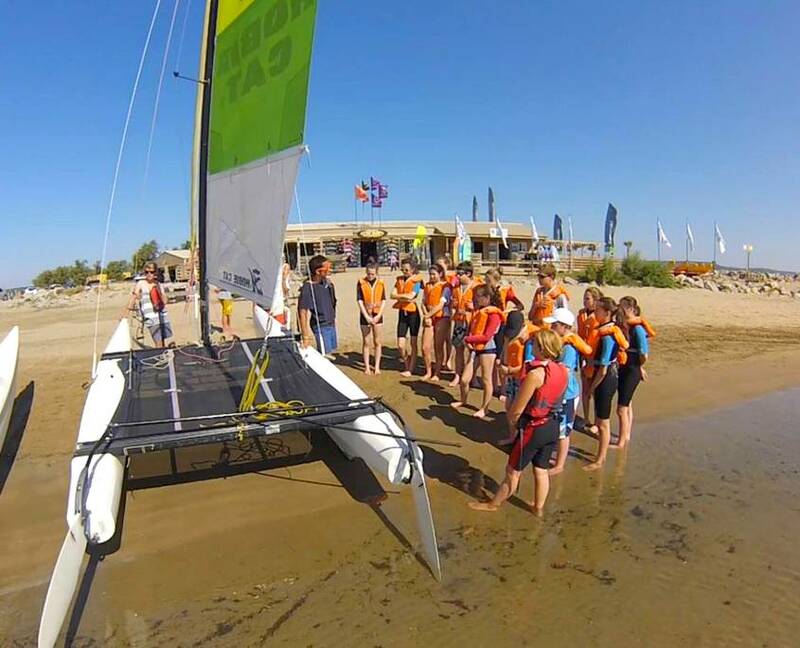 This sportive catamaran is the school’s Formula 1 ! He is reserved for expert crew. Rapid and lively, he offers incredible sensations ! 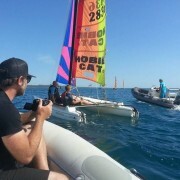 What a beautiful day for catamaran !